The festive season gets under way in Redhill when the Cards for Good Causes charity Christmas card shop opens in St. Matthew’s Church. 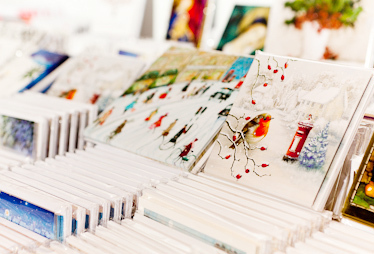 Shoppers will be able to choose from hundreds of different Christmas card designs, as well as traditional advent calendars and candles, wrapping paper, gift tags, napkins and stocking fillers. Staffed by a team of local volunteers, the Redhill pop-up shop is part of a network of more than 300 temporary shops run by Cards for Good Causes, the UK’s largest charity Christmas card organisation. CFGC sells cards on behalf of over 250 national and local charities including Cancer Research UK, Barnardo’s, NSPCC, Alzheimer’s Society and RNLI. In most shops at least 25 charities are represented.